Oldeboorn - in the Frisian Aldeboarn - is a village in the municipality of Heerenveen with about 1500 inhabitants. The village is located on either side of the river de Boorne, not far from Leppa Akwadukt, on the A32 motorway between Heerenveen and Leeuwarden. Oldeboorn is famous for its annual gondola cruise on the last Friday of August. About the construction of the church tower of Oijen, the next anecdote is the round; The Drillers wanted the highest tower of Friesland, which meant that their tower had to be higher than the Tzum tower. Therefore, two men traveled to Tzum to determine how high that tower was. They climbed the tower and measured the height with a rope. Then they stayed overnight at the local inn. As they slept, the value cut off a lot of the rope. The final result was that Oldeboorn's tower eventually turned out to be lower than the Tzum tower. The inhabitants of Oldeboorn have since been called garden chemists (tower meters). Magnus Forteman's Magnusvane would be embedded in the church, one could even name the exact place. Part of Oldeboorn is a protected village view, one of the protected town and village views in Friesland. 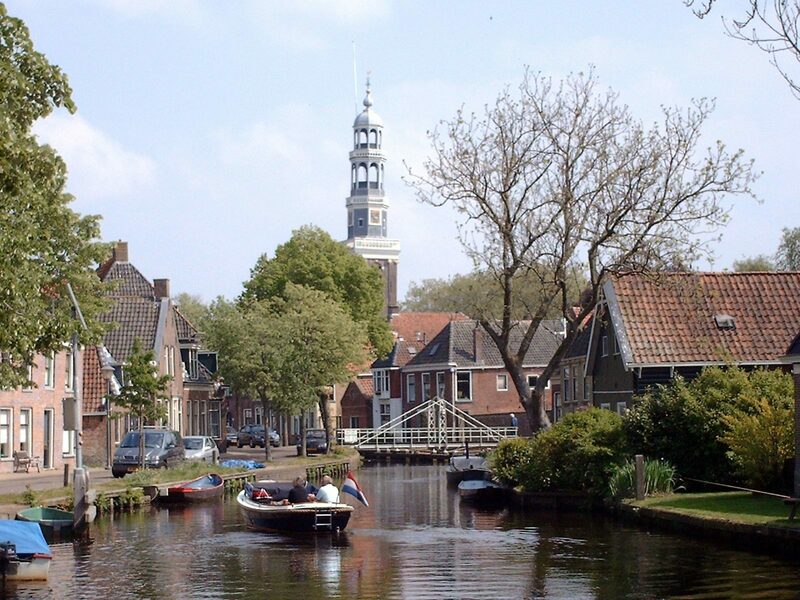 In addition, there are 19 national monuments in the village, including the reformed church and its tower (Doelhofkerk), the Reformed Church and the Polder Krieke Spinnenkop mill.